Dual-sided facial cleansing brush helps to achieve a glowing complexion. 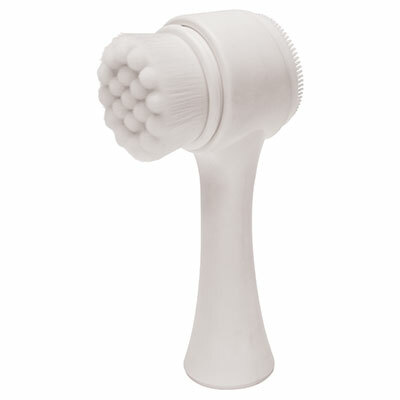 One side features soft, flexible, nylon bristles that deeply cleanse the skin and pores. 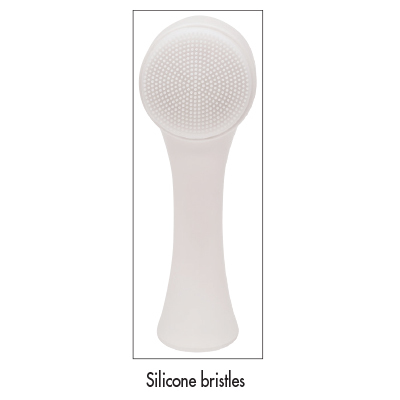 The other side features silicone bristles that help exfoliate and massage the skin to remove dirt and makeup for a deeper, more effective cleansing. Measures 5"H.